"Create a stylish look for your home that is perfect for protecting the things that truly matter"
When you’re wanting to protect your home and loved ones, you need to know the measures you take are going to work- as well as look beautiful. 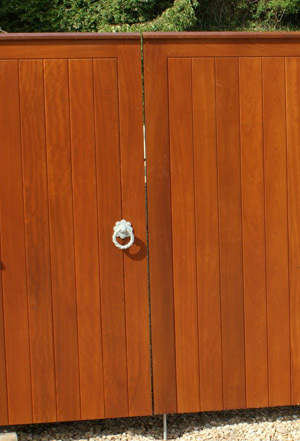 The need for your wooden gates to be designed and installed by professional Devon joiners has never been so important. One of the great benefits of wooden entrance gates is that you are able to keep people, children and animals either in or out of your property. This consideration needs to be thought through thoroughly before you have a wooden gate designed and installed your home for obvious reasons. 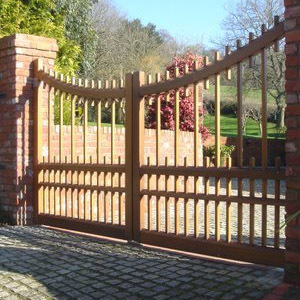 A range of local, knowledgeable Devon joiners will be able to help create your dream gate and will take the time to listen to your requirements and ensure that these are all met, wherever possible. Bespoke wooden gates have a flexibility of offerings and not only look stunning but when designed by an experienced joiner they will last a lifetime with the necessary love, care and attention they require. Depending on your requirements, close boarded courtyard options offer the privacy while field gates struggle to keep dogs in, so if you have a beloved pet it maybe best not to opt for this style. You will want your bespoke gate to enhance security of your Devon home and surrounding areas, but it is important not to make this their overarching function. Large, imposing gates clearly indicate to onlookers that security is your main concern, but they will also tell potential intruders that there is something significant within your property which may well catch their attention. "Talking through design ideas with an experienced Devon joiner means they can design and install your dream gate for your home." While security is very important to every homeowner you really want to try and avoid the look of fortification wherever possible. Your chosen bespoke joiner will be able to discuss the best options available with you in the comfort of your own home. Talking through the choices on offer to you means that you not only have the gate which protects the things that matter to you most but also sympathically incorporates your own tastes, preferences and personality when it comes to its design and overall appearance. Find an knowledgeable Devon joiner with experience in designing and installing gates in your local area. For more information on automated gates please see here.